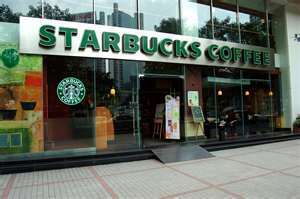 $50 Starbucks Gift Card 6hr Flash Giveaway Ends @ 9pm PST! Powered by Mom Blog is part of this awesome flash giveaway! Open to US & Canada (Canada Paypal only) – winner has option of Paypal or Amazon! Don’t wait enter now it’s only here from 3pm-6pm PST! fill out and you will know if you WIN in just a couple of hours! WHAT FUN! Good luck on this 6-hour flash giveaway! See you back on Monday for another great FLASH giveaway! Here are our WONDERFUL participating sites for this 6-Hour FLASH Giveaway!! Check out these awesome sites when you have time! * NOTE: You can choose PayPal or Amazon GC instead of the Starbucks GC if you are the WINNER!!! I’d be the Caramel Apple Cider, because I’m great in the middle of a long day of skiing! I would be a Starbucks Refresher drink; thirst-quenched with a boost of energy is what describes me. If I were a Starbucks drink I’d be a Caramel Frappuccino; because I’m sweet warm in flavor & will make you a bit hyper if you hang around me. I’d be a Salted Caramel Hot Chocolate because I am sweet and salty at the same time. I love their iced tea! I would be a vanilla chai because I drink ao much of it (up to 4 a day) they call me the chai lady. I would be hot chocolate because I don’t really like coffee of any flavor. I would be a chocolate banana smoothie because i am delicious and have smooth skin and those are two of my favorite flavors. I would be a vanilla bean frappichino because I am cool and smooth! I would be anything bit coffee because I cannot stand coffee My husband would get ths GC if I won because he loooooooves coffee, all kinds of coffee. I’d be a hot chocolate! I’m too hot and sweet for my own good! I’d be a shot of expresso, because I’m sassy like that. I’d be a white chocolate mocha…yum! I’d be hot and strong, just like my hubby! A Iced Black Tea because I’m so refreshing. 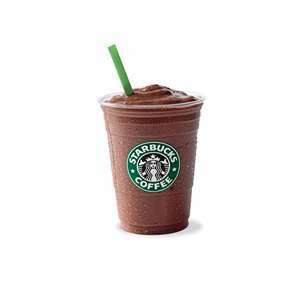 I would probably be a mocha cookie frappe on a count of my sweet-tooth. I’d be a chai latter – warm and spicy! I rather have the paypal, but if I were a drink I would pick the ice coffee, sweet but cool to the touch. I have never has Starbucks! I have been to a local coffee shop, but that’s it. I’d be my favorite drink, Cafe Americano, strong and simple. I would be a Venti Caramel Macchiato. I have many layers that all blend together to make me!!! Hot chocolate…. No caffeine for me! I’d be a Strawberry Smoothie because I’m pink and cool! Iced coffee cause I am a cool grandma! I would be a strong black coffee because I’m not for everyone! A Peppermint Mocha, because it’s winter in a cup and I LOVE winter, and Peppermint Mochas lol! Iced Caramel Macchiato Upside Down! I would be a Carmel Machiotto! Sweet and delicious! that’s me. Sometimes I like it hot, sometimes iced! A Frappacino of any flavor would be great and I might even consider sharing! I would be a short caramel macchiato. Why? Because I’m little, and I pack a strong, sweet and smooth punch. Mmmm…..Starbucks! Skinny Vanilla Latte because they are delicious and a little sweet! I would probably be the Shaken Iced Tea Lemonade..Because I like to shake it up & Im sweet but can be a little sour at times to 🙂 thanks for the giveaway!!!! I would be a Mocha cookie crumble with an extra shot, and a squirt of peppermint. Why? because I’m almost normal but with that unexpected hyper kick and that bite that gets you whether you’re ready or not. If I were a Starbucks drink, I would be a Hot Chocolate because I’m sweet.